That title up there could mean several things - it could mean the "tone" or "voice" of your blog. It could also intimate the "frequency" or "energy" of the overall personality of your blog. That's the wonderful thing about words and writing...a word, a title, a statement can all be read and interpreted differently by different people. The application here is using the word, frequency, per Webster's definition: 1. the fact or condition of occurring frequently. My focus here today is actually to talk about frequency of posts, as in, how often do you post? What is too much, too little, are there rules, and should there really BE a definitive school of thought regarding this topic? I have my own blog, Healing Morning, and I tend to write and post less often than most. I have weeks where I may write and post blogs several days in a row, but that is a bit unusual - the "norm" for me is to post, roughly, about once a week. I also am a co-author for this blog, The Authentic Blogger, and a co-creator of its sister FB group page, Authentic Blogger. Outside of all of that, I am a freelance technical writer with clients and meetings and writing that demand a big chunk of my attention. So, my whole world, professional and personal, is focused a great deal of the day, on writing. Because of that, I prefer to write blogs for Healing Morning when something strongly grabs my heart, or makes me pause and ponder deeply. That might not happen every single day, and I am not a fan of posting an "empty" blog daily just for the sake of being able to say I post daily. I'd much rather hear that people look forward to my posts, than hear they feel overwhelmed by too many posts to give their attention to on a regular basis. There are several opinions on this topic. Type in "getting started with blogging" into your search window and you'll get thousands of hits, ranging in advice, rules and examples. Many websites, blogs and How To's will suggest blogging daily, sometimes multiple times daily, in order to get yourself established in the blogging world. Much of your personal decision on this practice will hinge on the personality and purpose of your specific blog. 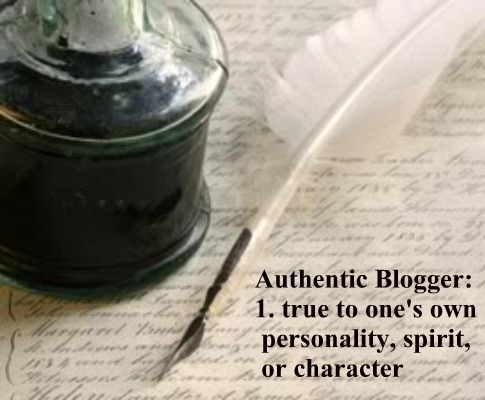 Are you writing a blog for yourself, or are you writing for a business? If your blog is your own, are you writing it to monetize it, i.e., to make money? Blogs that are focused on promoting a business will obviously require more frequent blog posts. Blogs that are of a more personal, non-monetized nature will be open to personal preference regarding how often to write and post. My personal preference is to write and post less often. My blog posts on Healing Morning are a bit longer than a promotional/business blog post, and as such, I feel that it fits my overall concept better to post 1-2 times a week rather than daily. I write on topics of a spiritual, healing, holistic, thoughtful nature that require the reader to ponder along with me (if they choose). I like to give myself, and my readers, time to absorb the most recent post, think about it for a few days, take time to post comments, reply to the resulting discussion thread and then move forward to the next post. This works for me. My AB group partner, Marty D., posts more frequently on his Coffee with Marty blog and that works for him. I will also say that because I am so heavily involved in the blogging world for both work and personal application, I am not a fan of the posting daily concept. Those that post daily, I admit that I don't always have time to read every single daily post. I might have time to pull up one post weekly on the blogs and authors that I follow. For me, too much posting tends to lessen the impact of that author's writing for me. It becomes a surfeit of riches, so to speak, and I become less enthused when I am barraged with daily posts. Again, this is personal preference - I recognize that I'm probably in the minority on this. I'm positive that many of you reading this are of the opposite school of thought and truly enjoy writing and posting daily, as well as enjoy reading other authors' daily posts. There are no hard and fast rules, as far as I'm concerned, on any of this. Individuality reigns in the world of blogdom, and that's something to celebrate! Bottom line on this one is, each blog author will have to experiment with their posting activity and discover what works best for them. If you're writing blogs for a client, that client will state clearly to you the frequency of posts they expect, along with providing guidelines for length and content of blog posts. Those are the easy ones! The more challenging ones are your personal blogs. Try different things. Do some research online, talk with fellow bloggers, find online blogging groups such as Authentic Blogger that will give you a community forum to ask questions and engage in discussions. It's a continual learning process, and one that gives us as blog authors the freedom to grow, learn new skills and try new methods as often as we choose. Growing, learning and embracing all these possibilities are some of the most entertaining parts of blogging! As always, feedback and discussion in the Comments section are welcome. What are your thoughts and suggestions on this topic? Comment away! Honestly, I have a hard time keeping up with blogs that post daily. I don't always have the time to read the internet every single day of my life. I much prefer reading (and writing) blogs that post new content 1-3 times a week. I 100% agree that you need lots of new content when you're first getting started, but there's a balance between establishing yourself and overwhelming your readers. Jane & Jenn, thanks for your comments! I figured there would be people out there who felt the same way I do about posting daily. I'm also sure we'll hear from those who DO post daily and enjoy that method - I hope we hear from them! Jane, blogging is definitely a therapeutic process for me also. We'll get you more tools and experience in the coming days! I still learn something new just about daily about blogging & expect that will never change! Jenn, I'm all for striking that balance! Overwhelming will have the possible result of driving people away, which is never the goal of any writer! You two rock w/ the enthusiastic comments! Thanks again! When I first started blogging I thought I HAD to post daily. If I missed a day or two, I felt like I was doing something wrong. I have come to realize that it's okay to miss a few days here & there & that it's not the end of the world. Obviously, considering one of my recent posts, I don't feel the same way. :) Though I do understand the feeling and sympathize with it as well. For me, I like to do a daily post because it keeps me engaged and it keeps me "honest" as far as continuing to blog. I have a habit of letting things go by the wayside if I move away from them, and I'm worried that one day off will become two, then three, then four, etc. Obviously I have been able to keep up even after taking a day off, but I don't know what would happen if I took two or three. As for reading blogs, I don't read the blogs I follow every day, but when I do read them, it's usually pretty easy to read multiple posts and keep up with them. That does depend on how many you follow, of course. But you're certainly right. It's a personal preference, and there is no one right answer. Great post! Anahid & Dave, thanks for the comments! Practically every "How To" guide I've found on the internet espouses the post daily concept, some of them to the point that it CAN make any new blog author feel obligated to practically kill themselves to meet what might be an unreasonable goal. There are others out there, like Dave, who truly embrace the daily posting as a valuable routine that moves the rest of their day forward in a logical manner. The happy thing is that all options remain open and we get to choose! That's why I like hearing feedback on topics such as this one. People will scan through our posts here and pull this one up in the future, read through the discussion thread and learn a lot from conversation posted. I love that! Every single comment is so valuable in that regard, so please keep adding your thoughts! 2) To *average* at least one post a day for a month. This is a bit easier to achieve because some days I won't feel like posting anything. Others, like today, I'll have a couple of ideas and so I'll get two posts in. I think I've posted three posts once or twice, but usually two is the max. For January, I'm still two posts behind, but I'm confident I will have 31 January posts at the end of the month. Again, that's just a personal goal, as it makes me feel engaged in the whole process. It's not for everyone. Good for you, Dave, for mapping out a plan and sticking w/ it! I cannot promise to read every single post of yours - I already admitted I just can't commit to doing that, given the number of blogs I follow. I can admire your perserverance, though! Rock on! I've debated this a lot with myself... and I think if you look back over my blog archive since January of 2009, you'll see I've changed my mind about it a lot. I'll go for a spell posting daily and then take a break for a while. For a while last year, I took a sort of "internet fast" to give myself a break, cut down on the "noise" of information and ideas, and listen rather than "talk". Y'all make some good points in the post and comments: a lot of ideas coming in can be too much, and it can put a lot of pressure on the writer and the followers to keep up with it all. I wonder, and would like to find out, how my followers feel about this. As far as the blogs I read/follow myself, some of them post daily; others post here and there, and some post very rarely (usually, each of those is a gem of a post!). I admire those who wait on the Holy Spirit's leading in how they share with others, especially those who have blogs that are dedicated to sharing their faith through teaching and discipline others. I think my blog is more about sharing my life with others and shairing praises and joy in the Lord. I think this is why I've started blogging more frequently, to remind myself and others that there is some reason or another to praise God and glorify Him every day despite how we may feel or what we may face some days. In any case, the list of blogs I follow isn't all that long; it's grown since I joined AB, but I still try to only follow those I really identify with and those that I can honestly/genuinely commit to. As I've mentioned, some of those are "teaching" type blogs, so however frequently they post, I read them at my own pace because I want to have time to pray about them, look up Scriptures they reference, and things like that. Other blogs I follow are more about sharing their journey - both their physical journey through the world and the very dynamic journey of their hearts and souls; those blogs I try to read as often as I can because I feel they have become my friends. Reading some blogs is more like reading a book that I am interested in or that will be useful to me, but reading these people's writing is like keeping in touch with kindred souls whom I enjoy hearing from often! That's how I have sort of separated them in my mind to juggle reading more effectively. Again, useful thoughts to consider, everyone. I'm happy if people just read the titles and then read the ones they're interested in. For my blog, because it's not really one subject matter, I totally understand that impulse. That is one reason I have "more" tags in most of my posts, too (in addition just to break up the long posts): if they're all on the same basic blog page, I can't tell if anybody's looking at *that* specific post or not. After reading Ruth's comments, I must say I identify with a lot of what she is saying and am in agreement with her. She was able to express so much of what I did not or what had not crossed my mind at the time. Thanks Ruth. Ruth, I loved your comments. I, too, feel that I have grown in friendship with many of the authors of the blogs I follow! Dave, laughing here...yep, you have me pegged accurately as a non-computer game type person! I do scan through the posts you write on blogging and/or social media tips. The recent one about Twitter was interesting, but I need time later in the week to go back and read at leisure. Janie, your latest post is on my sister-reading-list! I'll get to it later tonight and leave you a comment! I've always believed that content was the most important. For me I write 4 days a week Mon-Thur it works well for me & give me the opportunity to have time to reflect on "new" topics over my "weekend". When I began I wrote 5 days a week but decided between "life" & just needing time 4 days is enough. I read the responses with interest. After having this discussion with Dawn a few days ago, I had decided I probably was overwhelming my readers, and had decided to cut back. However, yesterday I had two main thoughts I wanted to blog about, and also today, I find myself pounding out a new one on my keyboard at work. I guess for me, Monday-Friday, once a day is what I will have to do. It is a personal Journal after all. I do not expect my readers to read every post, I write for myself. I hope this doesn't sound selfish,it's just what works for me. :) Great discussion! Bill, I have what I call my Blog Short List - it's the people who I absolutely adore (their writing style, blog content and who they are as people and friends), and I make an effort to read every post they publish. You're on that list, my friend, because your work just touches my heart. I don't always get around to reading them daily though; sometimes I save them up as a treat to review one after another towards the end of the week. Marty, it prob goes w/out saying that you're also on that Short List! My Healing Morning blog is another type of journaling process for me as well, so I can relate to your comments and reasons for wanting to write & post more often. I do have those weeks where I get hit with daily inspiration, and when that happens, I write and post several days in a row. Again, I LOVE when a discussion thread is embraced so enthusiastically! I knew this was a hot topic for me - when to post, how much, how to do it, what works for you, etc. I had no idea everyone else would find it equally interesting, though, so yay for the whole community! I find that on three of my blogs I post 5 or 6 times a week and my other 3 I post less often. Wow, Michael, I don't know how you keep up with that many blogs, and writing that many posts for each! I knew you had more than one, as I see the links you post on the AB wall - I just had no idea you had so many to handle. I can only commend you for finding the time and energy for all of that writing! read again your comments on frequency of blogging. it's funny how somethings you miss the first time around. To be honest, I had forgotten what you had written for the most part and had forgotten I had posted a comment. So, bottom line is that since that point in time I find that I'm praying for God to lead me, give me a thought, inspiration if I am going to blog. What would writing something that wasn't inspired from God mean to me or anyone else? I know that sounds extreme for me to say this, but after only a few weeks, I've changed my thinking. It so takes away the pressure of blogging/writing. Jane, I find that I continually grow with my writing, regardless of the genre. The important thing, for me, is to listen to my own heart, draw from my own inspiration and not worry about what others are doing. That's not meant to sound harsh - it's meant to honor my own writing process, and it sounds like you're finding a similar method. You'll continue to grow, change, try on different styles, etc. That's the beauty of writing! I also enjoy re-visiting blogs from the past - they will teach me new things when I come back to them as well. What was it you said Dawn that sounded harsh? I'm not "worried" about what others doing or thinking; just don't feel the "pressure" I was putting on myself I think to blog everyday or thinking to myself, "I need to blog/write today." You are right, we are always evolving, changing our writing skills, and that part I enjoy. Hey Janie, you read my comments as I meant them to come across. You're correct, choosing to do what works best for yourself as a writer/author is just a simple decision. My use of the word "harsh" wasn't in relation to you - it was just an acknowledgement that many might read the statement of "don't worry about anyone else" to sound snippy/harsh. I didn't mean it to come across that way, just wanted to qualify it to people. Anyway, thanks again for bringing us both back to this old friend of a post. It was fun!